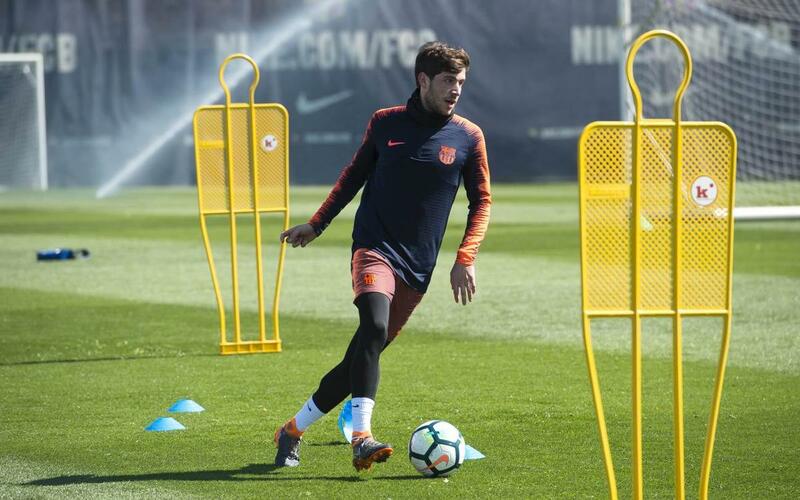 FC Barcelona trained this Thursday morning, with players Sergi Roberto, Aleix Vidal, Paco Alcácer, Denis Suárez and Nélson Semedo put through the paces. The quintet were the only representatives of the first team training in the final session of the week, whilst the remainder of the squad were unavailable through international commitments. Thomas Vermaelen, who had trained on Wednesday, joined up with the Belgian national team today. The workload consisted of exercises with the Barça B players, followed by finishing drills. The next training session at the Ciutat Esportiva Joan Gamper will take place next Tuesday, March 27.